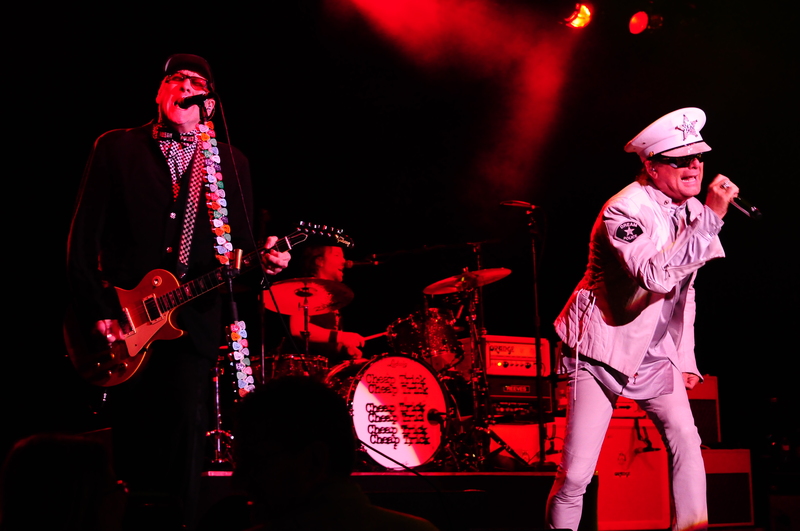 Cheap Trick brought their sweet power pop sounds to the Seneca Events Center Saturday evening. 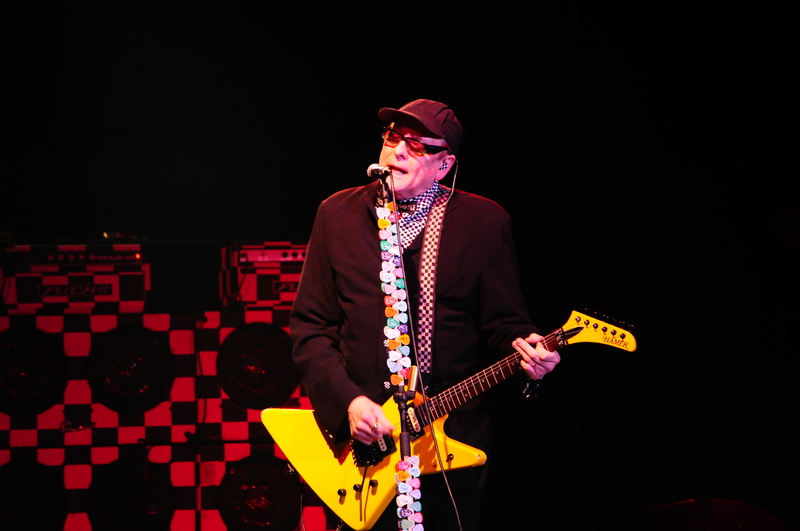 Cheap Trick may not have invented the genre but they sure have perfected it. Many bands over the past twenty years cite the band as a major influence. 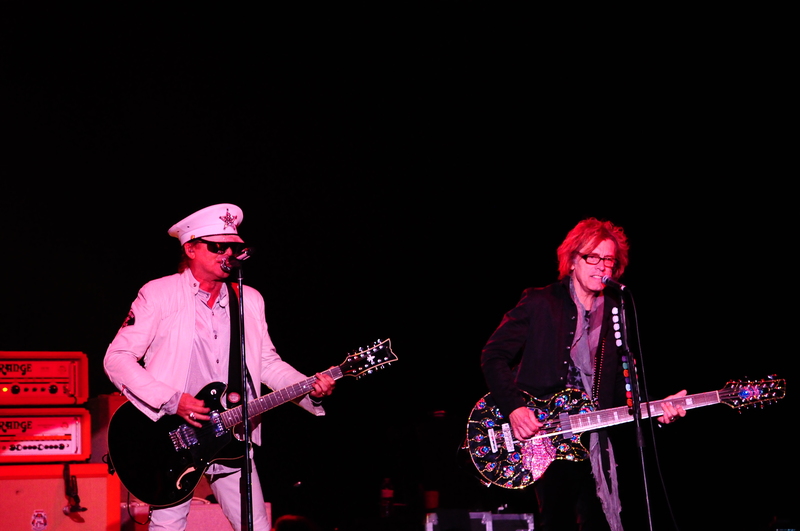 What vocalist/guitarist Robin Zander, guitarist Rick Nielsen and bassist Tom Petersson bring to the table are gorgeous songs filled with melodic vocal harmonies with catchy hooks and remarkable guitar riffs. 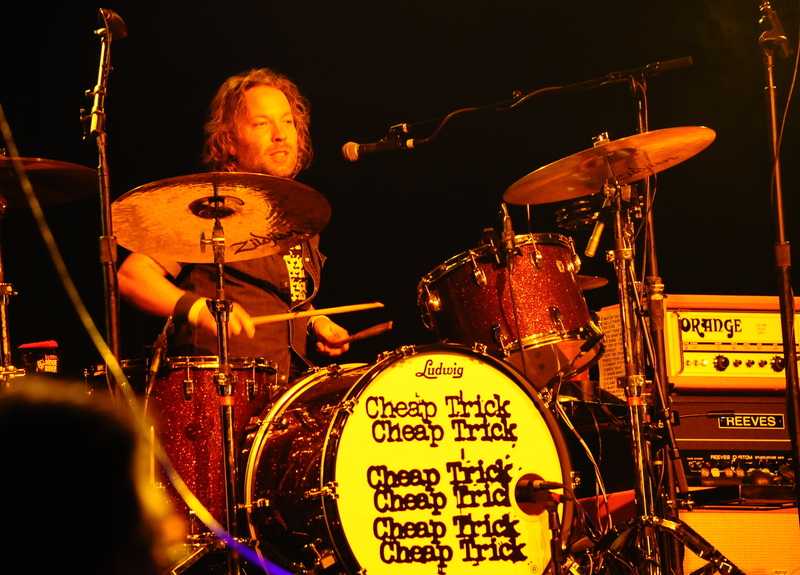 Behind the kit these days is Rick’s son, Daxx Nielsen who is the touring drummer. Original drummer Bun E. Carlos still retains membership in the band as he is listed a band member but no longer tours with the band. As the band took the stage and launched into “Way Of The World”, there was no denying that everyone would be in store for something special. Strangely enough “Hello There”, if played, is usually the song that opens the show, by playing it second the fans were thrown a curveball. The first half of the set featured such gems as “I Can’t Take It”, the very commercial “If You Want My Love” capped off with a stellar version of “On Top Of The World” from the bands classic Heaven Tonight release. The band took the time to acknowledge a fan who came all the way from Japan who was at her 187th Cheap Trick show along with her daughter. Nielsen also made mention that she was indeed at the infamous Budokan concert from 1978, the same tour that helped propel the band into superstardom. Zander also announced to her “this one is for you” as they launched into “Lookout”, a rare track that was from the original Budokan album. 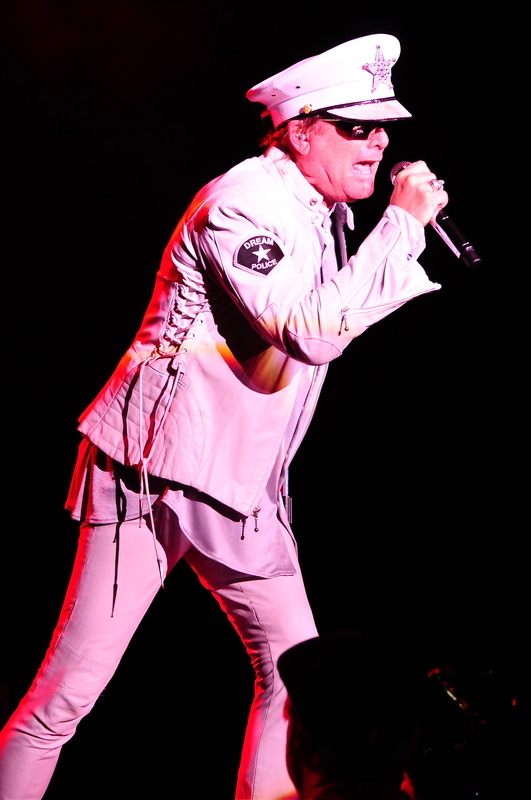 Rick asked the audience how many bands have had a top 5 song with an Elvis Presley cover? He went on to say “one, because its hard to do”, giving himself a big verbal pat on the back as “Don’t Be Cruel” was played. The second half of the set featured most of the standards, however “Stop This Game” and the brilliant “Tonight It’s You” were slipped in to spice it up. Throughout the ninety-five minute set the band showed its versatility with a good mix of hits (I Want You To Want Me, Dream Police and Surrender), ballads (The Flame), and even some frenetic rockers such as the searing “Auf Wiedersehen” that was followed by “Goodnight” to put a cherry on top of an astounding show. This was also the bands first area show since their 2011 gig at Artpark. The Artpark performance was good even after all that had happened at their prior show (the horrific stage collapse in Ottawa at the Bluesfest) although you could tell it was still fresh in their minds. This time around the band were loose and it was very clear they were having fun and enjoying the evening. As time marches on, the band seems to be more endearing to fans than ever before. Nielsen still changes up guitars for just about every song and has several unique in his collection. 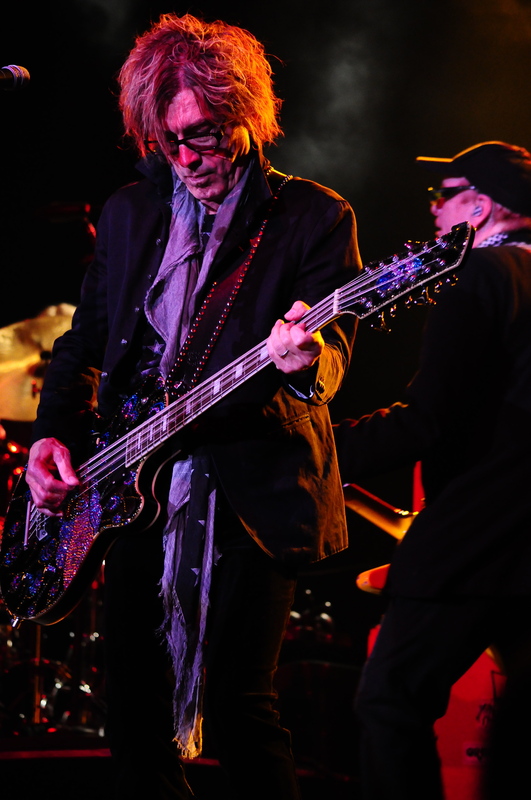 The inventor of the twelve string bass, Tom Petersson took his turn at the microphone for “I Know What I Want”. What needs to be said about Mr. Zander? It’s no wonder Nielsen calls him his favorite singer in the whole world, he really can do it all. To still sound this good, is a testament to how he takes care of himself. It is unbelievable how he can go from a soft ballad, then tear into a raucous song without missing a note. There is no telling how long this band will be able to carry on, but with Zander at the helm he has at least another ten years in him. I wouldn’t bet against him.